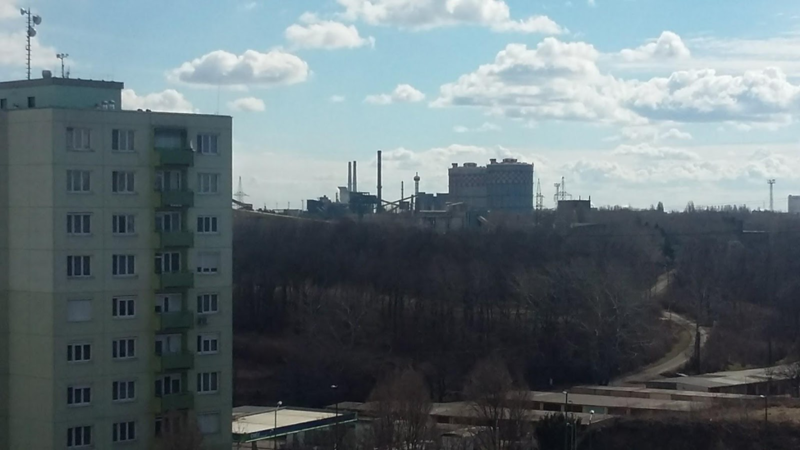 In Gergő Benedek’s final Guest Editor post, he discusses energy efficiency in the small town of Dunaújváros. There is a unique landmark you will most definitely see in almost every post-socialist city: the brutalist condo buildings, made from blocks of concrete. 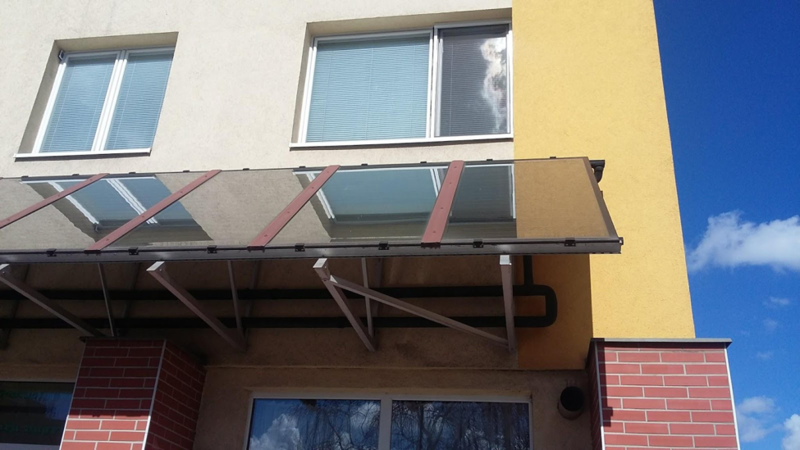 Energy efficiency is a key weakness of these, but there is one building in small town Hungary, that could be a glaring example in overcoming this challenge. Its name is Solanova. There are two towns in Hungary that were entirely built by the dream of socialist industry, from scratch, with no historical background, unlike any other city in the country. One of them was called Lenin City, created for workers of the nearby mines and newly built factories of assorted technologies, like aluminum production. The other’s name was, of course, Stalin City. It has been heralded as the heart and soul of Hungarian steel industry. The socialist dream of Hungary becoming a heavy industrial powerhouse never made it far in becoming a reality, the orientation slowly drifted away as the Soviet influence loosened on the national governance, and finally, faded away completely in 1989. It’s only natural that when a group of German engineers arrived to Hungary in the early 2000’s, looking for a suitable location where they could perform an experiment with refurbishing one of these buildings, they headed straight towards the town once called Stalin City: renamed after the regime change of 1989 as Danube New City (Dunaújváros). says Piroska Istvánné Kanik (61), the manager of Lajos Király Blvd. 10., a seven story building with six flats per floor, while we are flipping through the pages of the red velvet-clad Guest Book she created. Not many condos have a guestbook: this one is for the visitors who are interested in the Solanova project. Mrs. Kanik has spent almost all her adult life in this building, which will turn 40 next year. As most of these establishments all over the country, this one was also aging rapidly. By the 90’s, the government had to face the ardous task of refurbishing these relics of the Soviet era, reinstall the heating systems, add some insulation which barely existed in them before, replace the windows and doors. The arrival of the joint project team from the Kassel University and BME, arguably the best Hungarian engineering college, could not have been timed better. Their plan was to install solar collectors, insulate the walls and the roof, replace the windows, doors and gates, build a heat recovery ventillation system and a brand new central heater system, complete with new radiator units and air pipes in every single apartment. This setup promised to vastly lower the heating energy consumption of the whole building, making it on par with the contemporary ultra-efficient buildings. Since we are talking about a product of the socialist industrial housefactories, built with little regard to efficiency, based on the power of the infinite Russian natural gas reserves, this promised to be quite a feat. Question is, at what cost? The project was funded by EU grants, national government funds and other sources. The full cost of the investment (not including the research phase) was a staggering 200 M HUF (560k GBP) of which the tenants were only required to pay 300k HUF (840 GBP) per flat (on 2005 prices). For sure, it was a great deal for those who lived there: they are saving roughly 420 GBP annually ever since, on thermal energy, so their own personal investment returned in a matter of 2-3 years, instead of the 20-30 year run they would have likely faced had they themselves had financed the project in its totality. Of course, residential energy is highly subsidized and subject to national and local policies, so efficiency calculations will always be murky with projects like this – there are too many factors, just like there are many aspects to consider when measuring the value of such investments beyond the financial realm. One of these values, for sure, is the positive message: a living, breathing example of a humble, old condo building suddenly achieving the higher quality ranks of XXI. century housing. The Solanova project was a laboratory for future refurbishments of post-socialist apartment buildings, but 10 years have past, and there is no sign of a ‘lakótelep’ energy revolution, though the newer tech could very possibly overshadow what Solanova can do. After the reconstructions completed in 2006, the results tracking did go on for two more years, but after that, there was no further guidance from the project team. Mrs. Kanik was left alone, trying hard to stay on top of managing a building that resembled not much like the one she spent most of her life in. Mrs. Kanik had to go ahead and install AC systems a few years after the project team left. Not the most energy-efficient method, but since the air cooling mechanisms have been simply left out from the final version, the locals had to come up with something. Hungarian summers can be quite punishing. Another, not so minor side effect was that the developers did not think about the cost of electricity required for the circulation of water in the solar heating system – these pumps are powered by the circuits of the building staircase, and not by the water service provider, whose system they are feeding into. This came as quite the surprise when the new electricity bills arrived, and they showed a quadrupled increase. The cost spike is still negligible to how much heat the building preserves now, but it’s certainly an aspect the residents needed to deal with, and which lessens the cost efficiency of the whole project. The solar collectors of the building are a simple unassuming row, hunched over the first floor, acting as sort of a porch roof along the side – it’s an inspiring thought that 72 square metre of this slick, brownish glass roof provides hot water for 42 flats, from March to October, on its own, only requiring additional help from the service provider during the winter months or colder periods. ‘We’ll be installing LED lights on the corridors, and guess what, they will have motion detectors! Imagine the efficiency!’ – adds Mrs. Kanik with raging enthusiasm. 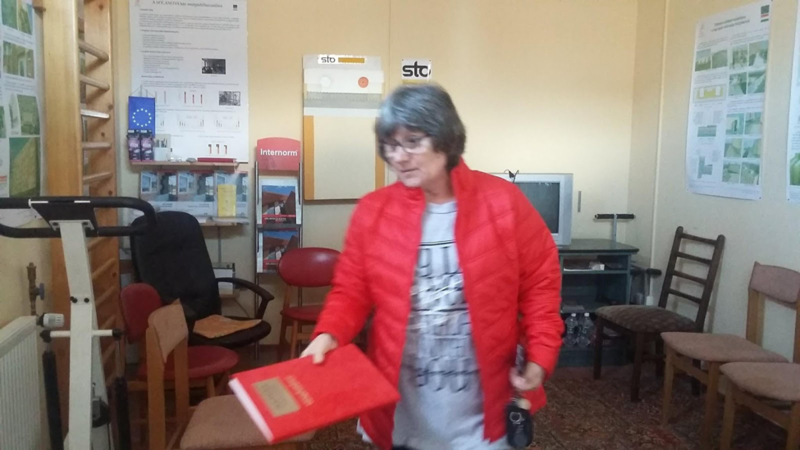 One thing is certain: maybe Solanova is yet to become a widely known, exemplary project in Hungarian residential refurbishments, but now there is at least one building manager in the country, who seems to have become committed for the cause of community energy efficiency, for good.